The setup and configuration process for this free php helpdesk software is very easy. Point your browser to the installation path and follow by few click then fill in your database information and you are done! Once it’s setup, you will be redirect to settings page where you can setup all the configuration. Everything seems easy to understand. There is no email to ticket feature at the moment. User can only submit the ticket thru the web form. 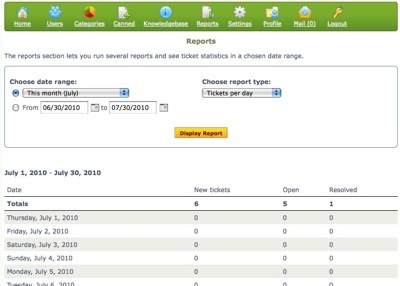 But the good news is that, Hesk team responded earlier in the forum saying they are building the email to ticket feature inside this free php helpdesk software. 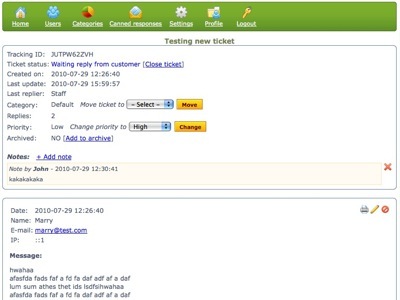 This entry was posted on Monday, August 2nd, 2010 at 8:23 am	and is filed under Free Helpdesk System. You can follow any responses to this entry through the RSS 2.0 feed. You can leave a response, or trackback from your own site.